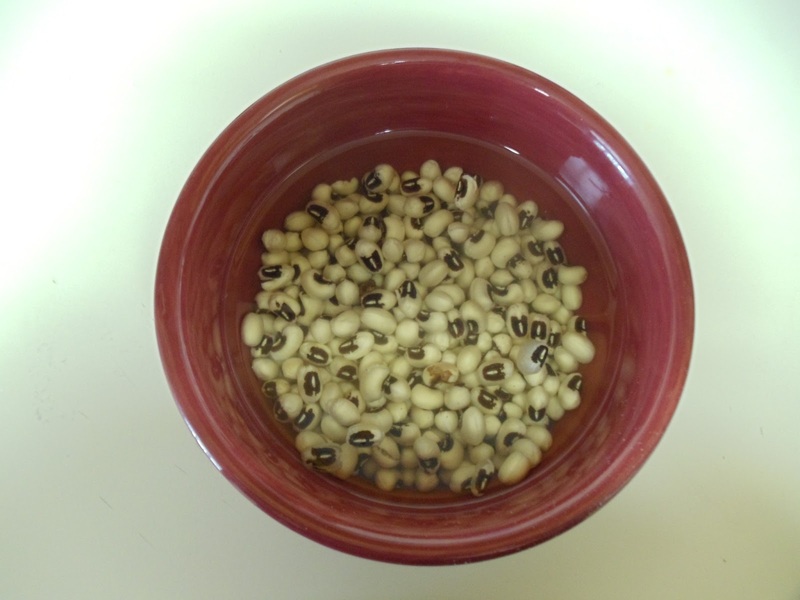 Black- Eyed Peas Salad is a healthy recipe (like any other salad). My husband gave me the recipe, which he had got from a good friend. This salad is simple and doesn't demand much effort and time. After eating this salad, you will think- even healthy stuff can taste good :-) You can also serve this as an appetizer for your guests. Give this a try and enjoy! Wash and soak the black- eyed peas in water for 1-2 hours (some varieties need to be soaked overnight. But the one I used requires only 1 hour of soaking ). Then cook them in a pressure cooker with enough water and salt, for one whistle. Once cooled, drain the beans. The cooked beans should be cooked yet firm. Then chop the onion, tomato, cilantro. Then put the cooked beans, chopped onion, tomato, cilantro in a large mixing bowl. Then add the lemon juice, red chilli powder, tomato ketchup, chaat masala, garam masala. Give a good, gentle mix. At this point taste the bean mixture and add more lemon juice or salt or red chilli powder etc, if required. Black-Eyed Peas Salad is ready!! Serve it with corn chips or as it is. Above measurement serves 2-3 people. Wow, salad sounds very healthy n yummy!